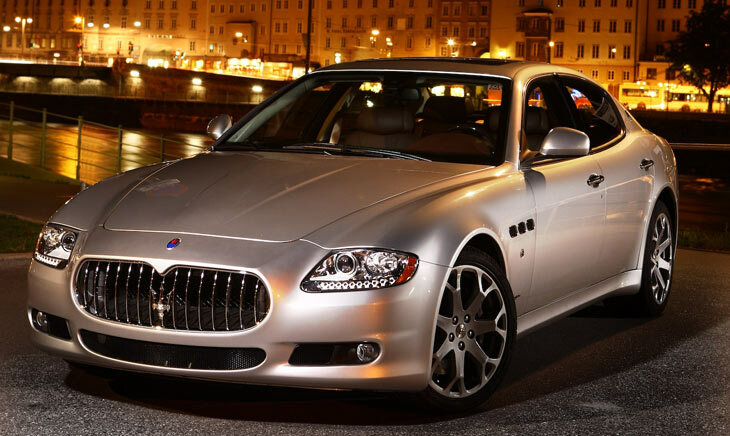 The second generation Maserati Quattroporte was one of the vehicles which helped usher in a new era for Maserati. No longer were they seen as temperamental at best, and dangerous at worst - a trait introduced in the 80s and carried through the 90s. Now Maserati had returned to the fold and offered style, performance and enough character to fill an Olympic-sized swimming pool. Prior to the new, curvaceous Quattroporte had been another iteration of the model, one with boxy, squared lines which were more discreet than glamorous. 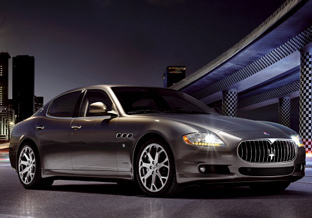 The new generation of Maserati's Quattroporte was unveiled at the Frankfurt Motor Show, it first went on sale in the summer of 2004. 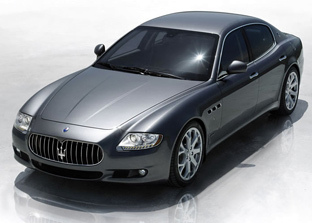 The Maserati Quattroporte is one of the best looking luxury cars in the world. 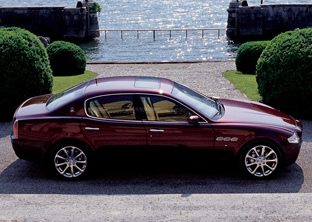 The Maserati Quattroporte has classical styling. 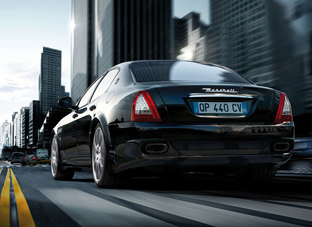 From every angle the Maserati Quattroporte exudes class and style. 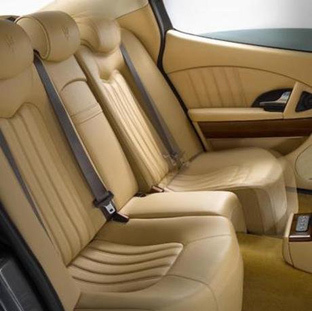 The interior of the Maserati Quattroporte is nice, but not as nice as the exterior. The rear seats of the Quattroporte can recline for more comfort. The Maserati Quattroporte looks even better in the flesh! Its Pininfarina designed bodywork continued the company's movement towards more curvaceous and traditionally beautiful vehicles, a trend which was started by the 3200 GT. 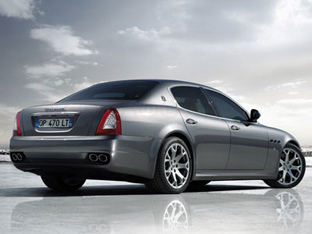 Currently you'll be hard pushed to find a four-door sedan with more graceful bodywork than the Quattroporte. Sure there are others which might look a bit more sporty or aggressive, but for classic beauty there's nothing that bests the Quattroporte. 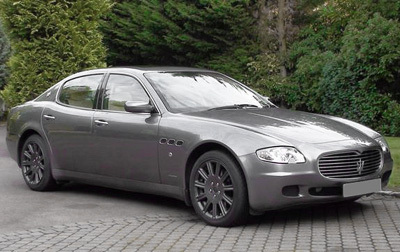 Throughout its lifespan the Maserati Quattroporte has undergone several upgrades. These updates and improvements have provided buyers with more diverse drivetrain options and have increased its appeal and market share considerably. 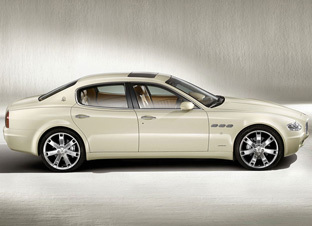 The Maserati Quattroporte will always be the outsider, and bought by those who follow their heart more than their head. But for that type of person the wildcard factor only increases its desirability. 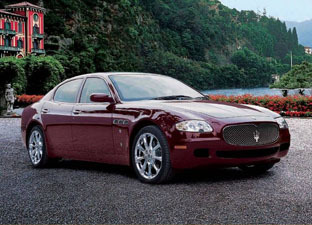 When it initially went on sale the Quattroporte was powered by a Ferrari-derived 4.2 litre V8 which produced 394 horsepower @ 7,000 rpm and 333 lb-ft of torque at 4,500 rpm. At launch the only available transmission was a semi-auto 6-speed gearbox dubbed the 'DuoSelect'. It wasn't the cars best feature. The transmission had both a manual mode - where the gear changes were actuated by pulling on paddles behind the steering wheel, and an automatic mode in which the driver did nothing. In its manual 'sport' setting the 'box was fine. It was both responsive and engaging. However when set in auto - to which it always defaulted at startup - the shifts were a touch labored, and there is a noticeable pause on downshifts during overtaking maneuvers. The DuoSelect transmission also suffers from rapid clutch wear - in extreme cases they require renewal after just 12,000 miles. The hydraulic gear selectors are also know to suffer from leaks. In 2007 the drivetrain options opened up a bit with the addition of a fully automatic ZF transmission. This unit has proved far more reliable than the DuoSelect transmission, and it also better suits the luxurious overall character of the car. 2008 saw the introduction of a 4.7 litre V8, which was fitted to the S and GTS versions. In the same year the DuoSelect transmission was discontinued. 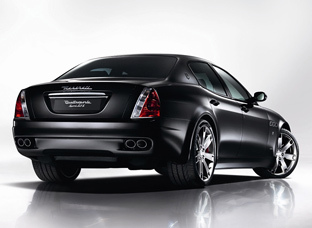 Performance has never been a problem for the Quattroporte. Even the 'base' 4.2 litre V8 model can hit 60 mph in a shade over 5 seconds, and top out at over 170mph. The downside to the drivetrain - although if you're in the market for a Quattroporte this probably isn't an issue - is fuel consumption. It's bad. Later cars were a bit more frugal however. The Maserati Quattroporte is a large car, and no amount of engineering wizardry is going to hide that fact. But the chassis does make for an entertaining drive, and also, if you're taking in the view from one of the passenger seats, it provides a smooth and comfortable ride. 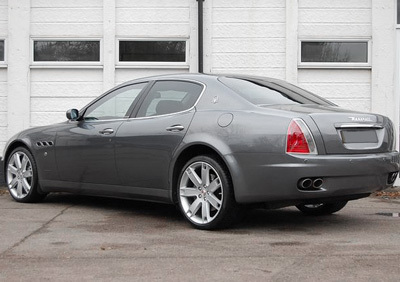 The Quattroporte is best when it can stretch its legs on the motorway or highway. But it can also handle town driving (better with the later full-auto transmission), and tighter more complicated roadways. The Quattroporte Sport GTS is the one to go for if you want to do the driving yourself and get some kicks out of it at the same time. This model has stiffer suspension and a more driver-orientated setup. For those who prefer to be driven, the Quattroporte Executive GT is a good option as it features a softer suspension system and a more luxurious interior. 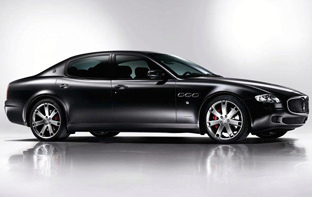 With the Maserati Quattroporte, regular checks of the wheel alignment are recommended. When the wheel alignment isn't perfectly setup the handling characteristics take a serious nosedive. Early cars also suffered from play in the steering around the center. This ailment was cured after the first year. In general the Quattroporte's brakes are pretty effective, but they also don't provide a great deal of positive feedback. Many owners choose to upgrade the pads and brake fluid when it comes time for servicing. There are no major issues to report in regard to the bodywork, and fit and finish - as you'd expect - is exceptional. Stone chips can occur around the wheel arches, and on some cars the hood safety catch can stop working. Unlike the exterior, which is one of the best in its class for style and grace, the Maserati Quattroporte's interior is a bit of a nonevent. It is well equipped, comfortable and compared to a normal car it's fantastic. But for the ultra-luxury sedan segment it's below average. The center console layout is dull and unappealing, as is the steering wheel. The front seats look like they come from a mid-nineties American barge, and the door panels look fussy and poorly laid out. There are some highlights though, like reclining rear seats, central TV system, and in some markets it was fitted with double-glazed windows. With the interior check that none of the trim pieces have worked loose, and also make sure all the switches and gizmos work as they should - some of the electronic systems can be a touch temperamental. If you've got the money to keep it well serviced, and are drawn by the car's looks and charm, then the Quattroporte doesn't really have much competition. If you want a luxury sedan which is going to offer up a few less hassles, then probably best to look at something from Germany. There are no reviews on this vehicle yet.